There has been a lot of hype and discussion about the Kastking Royale Legend Baitcasting Reel so I decided to get myself one and see what all the fuss was about. After fishing with this reel for a few months now I have to admit that it is brilliant. Given the price point there is nothing that can touch it in terms of quality and usability. The drag settings once adjusted have saved me from the usual birds nesting and by using braided line on a nice Abu Garcia rod I always feel in control and have landed some nice fish. Even pulled in a Pike a week or so ago in Ireland​ which was great sport. Quality wise there is no faults at all with the baitcaster. Spool is running free, no noise from the gear and paint etc is still perfect. It is nice and light and have had some marathon fishing sessions without any issues at all. ​The first thing you notice about this reel is the looks. The sleek low profile style in black with the chrome features and red inlay really makes this reel stand out. You also get a nice reel cover in the box - made from the same stuff wetsuits are made of so you can keep it covered when not in use. A nice touch I was not expecting as it wasn't mentioned anywhere when I was doing my research. There is a full set of instructions complete with an exploded view of the reel showing all the moving parts. This Kastking Royale reel is far from your average fishing reel. It’s actually a very solid built reel and performs flawlessly. The baitcasting reel is made lightweight for anyone who’s going to be fishing for the whole day and fits perfectly in your hands. The smooth action with multiple drag points let you very quickly tune your fishing and drop your lure exactly where you want it to go – every time. It comes complete with 3 different drag options so you can really tune in your casts and avoid backlash and ​bird-nesting your line. As mentioned above I decided to load up the reel with braided line. We have a full review on the best braided line over on this page. When I arrived at the river I tied on a heavy enough lure just to get the feel of this first. I set the drag fairly stiff and fired off a few casts - each time I backed off on the drag a bit until I got used to the reel action. I then changed lures and tied on a Rapala F5 which weighs next to nothing to see how that would perform. I was on a trout river and they love this lure so, even ​though I was just practicing there was a chance that a nice brownie could have taken the lure and gone on a run. I flipped the lure into the river with a few easy casts - not pushing for distance but just letting the lure weight carry it as far as it would go. The first couple of times I tried casting a baitcasting reel I made a complete mess of the line. I spent more time untangling things that day that I actually spent fishing. To avoid that happening again I spent a fair bit of time working through all of the settings on my reel to make sure I was good to go. ​Spool tension is the small nob that is inline with your spool. This always sits on the same side as the handle of your reel and is used to adjust the tension on the spool itself. It is used mainly to control the speed at which the spool runs when you cast. Open it up fully and the spool will freewheel out of control but once you get this set up to suit the weight of your lure you can leave it alone and enjoy hassle free casting all day long. The best way to tune your spool tension is to first tighten up the tension fully, tie on your lure and hold the rod out horizontally. With the tension set to tight the lure should not move at all. Slowly adjust the tension nob until the lure drops to the ground but keep an eye on your spool. When the lure hits the ground the spool should sop straight away. If it doesn't then you will end up with tangles in your line when you cast. You might have to have a few runs at this but trust me it's worth it. In summary the tension screw stop you getting overruns on your spool when the lure hits the water. The next drag setting we want to talk about is magnetic braking. The Magnetic Braking Drag avoids line tangles while the lure is in the air. When you first start fishing with a reel like this it is always advisable to set the magnetic drag to high. You will notice that your casts while smooth are fairly short but controlled. The reason for this is the magnetic drag on the reel. The spool tensioner is controlling the spool until the lure hits the water but the magnetic drag is holding things back a bit. I normally start with the magnetic drag on full and after a cast or two I back it off a step or two. The Kasting King reel has setting from 0 to 9 so start at 9 to be on the safe side. After about three or four casts I will end up with the reel sitting on number 6. The first thing you will notice after adjusting this drag is that your lure will cast further each time but the line will stay in situ on the reel. Back it off too much and you will end up with the dreaded bird's nest. You can’t talk about the braking system without talking about the line-retrieve system of the Kastking royal which is pegged at an impressive 7.0.1. 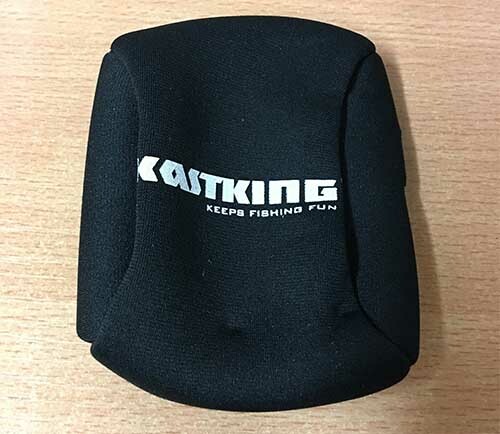 The Kastking Royale Legend doesn’t cost an arm and a leg, unlike several big names in the baitcasting industry, so you don’t need to worry about spending a lot of money to enjoy your favorite hobby. This reel is sure to be your go-to choice with which to fish for the entire day, and you will not run into any issues with it. It has an over-sized flat-sided EVA foam soft grip reel handle which makes it a lot softer and reduces fatigue. The comfortable non-slip grip will make sure that even under wet conditions you will still be able to reel in those monster fish. The Royal Legend fishing reel is best used with a KastKing baitcasting rod, although just about any quality rod will do. I have mine paired with an Abu Garcia rod at the moment and this makes for a very lightweight setup that can handle up to 20 lb. line. It is also a notch higher than its predecessor in regards to speed, power, and even that professional look. 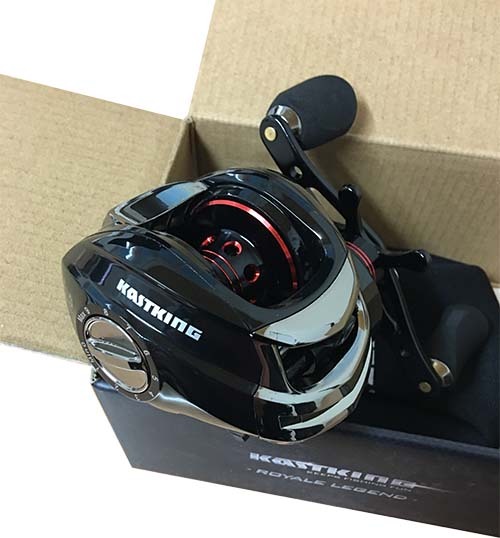 The KastKing Royale Legend Baitcasting Fishing Reel is incredibly lightweight. Its low-profile design makes it easy to fit in your hand. The removable side plate can easily be accessed and quickly removed at any time. This reel includes 11 + 1 shielded MaxiDur ball bearings, 17.5 lbs. of carbon fiber drag, and heaps of other features that you will come to love. 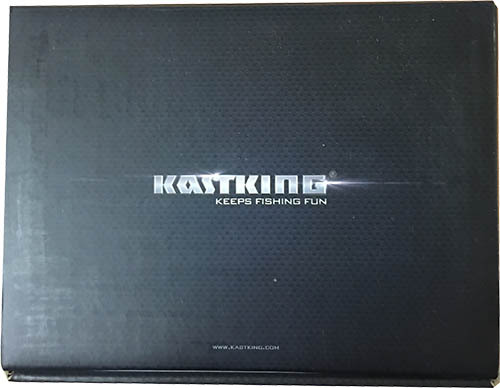 One of the key selling points of the KastKing Royal reel is the pricing. Set at a very reasonable price, you can’t afford not to consider the Legend as your go-to reel. The KastKing Royale Legend Baitcasting Fishing Reel is one of the best tournament-ready models available on the market right now. This powerful baitcasting fishing reel gives you a lot of features that you will definitely need to keep up a high level of performance. Rest assured your fishing will be fast, controlled and precise with this reel. 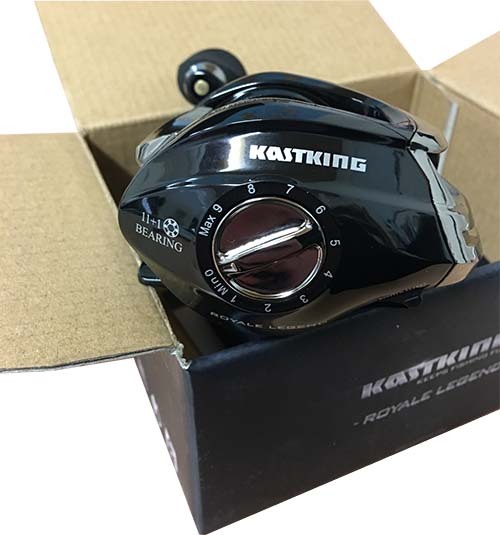 The performance of the KastKing Royale Legend Baitcasting Fishing Reel is unparalleled. It is a low-profile design bait caster, which means that you do not have to worry about any sounds bothering your focus, especially during tournaments. It runs with a super silent high speed 7.0:1-line retrieve. This simply cannot be matched thanks to its precision cut brass gear structure and the carbon fiber drag system that gives you a maximum of 17.5 lbs. for support. A little maintenance is needed to keep this reel in prime condition, but that’s not uncommon with any reel to be honest. Look after your kit and it will look after you. A quick check to make sure that everything is in tip-top condition every time before going on your fishing trip. The Royale Legend Baitcasting Reel is one of the best models you can find if you have an eye for detail to catch any faulty components. 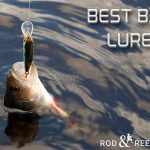 You have a lot of features to take advantage of with this reel, and the low price of it makes it an affordable alternative to those high-end baitcasting fishing reels. The magnetic braking system and the speed of line retrieving are some important details not to miss out on. If you are serious about going fishing for bass or carp, or some other aquatic creature with fins and gills, you should consider opting for one of these fishing reels.